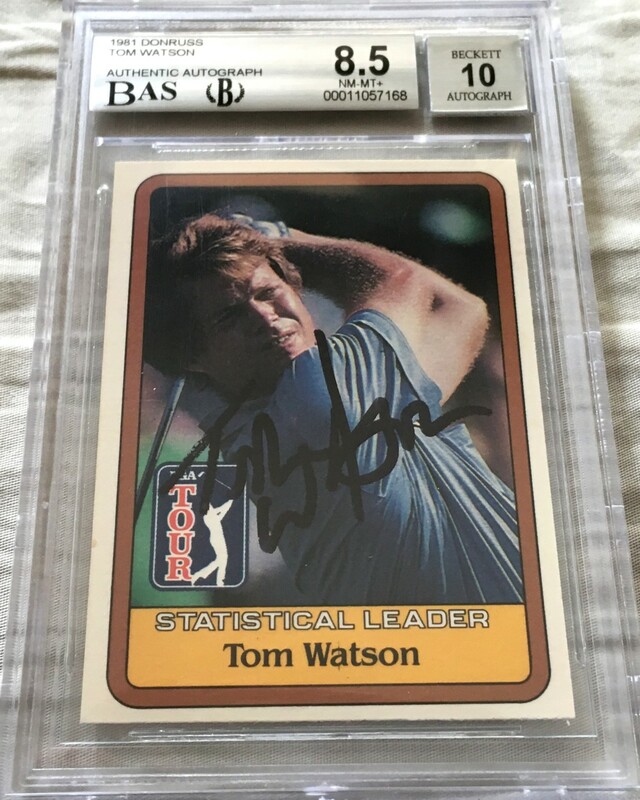 1981 Donruss PGA Tour Stat Leader Rookie Card autographed in black Sharpie by legendary Hall of Famer Tom Watson. 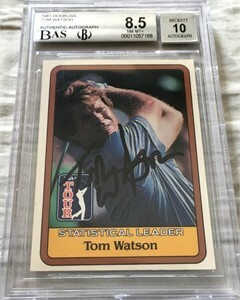 Obtained in person, authenticated by Beckett Authentication Services (BAS), graded 8.5 (NrMt-Mt++) by BGS (the autograph is graded a perfect 10) and slabbed. ONLY ONE AVAILABLE FOR SALE.